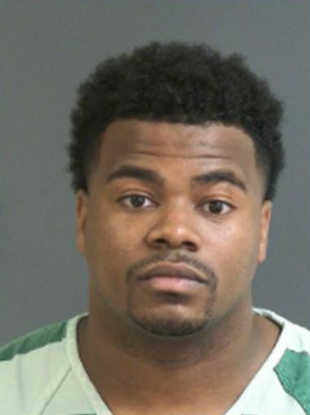 NORTH CHARLESTON, S.C. (WCIV) — A Citadel cadet was arrested Monday for pointing a gun at a female victim on the campus of Charleston Southern University, according to the North Charleston Police Department. James Durant, 22, of Shipley Street in Ladson, is also charged with choking the victim, blocking her airway for 30 seconds. According to the police report, around 11:30 p.m., Durant agreed to meet with the victim on the campus so she could return his things. According to the report, Durant got into the passenger seat of the victim’s car, pulled out a handgun and pointed it at her face. “The victim became extremely fearful of her life, saying she thought she was about to die,” the police report states. As she reached for her phone to call for help, Durant attempted to take the phone away, according to the police report. During the struggle, Durant put his arm around her neck and cut off her air so she could not breathe for about 30 seconds, according to the police report. The victim then laid on the horn of her car, which drew the attention of three bystanders, who came over and intervened, according to the report. Witnesses were able to get her out of the vehicle and Durant left the scene, according to a report. Witnesses told police they observed Durant holding the handgun. Officers were given Durant’s information and arrested him without incident at his apartment. He is charged with assault and battery second degree, point and presenting and unlawful carry of a handgun. According to the police report, Durant admitted to using a firearm during the argument. The handgun was located in Durant’s car under the front seat. It had one bullet in the chamber and seven rounds in the magazine, according to police. He was booked in the Charleston County Detention Center and remains in jail under a $20,000 bond. The Citadel did not have a statement, but confirms that at the time of his arrest, Durant was a cadet and is in his senior year academically.